Trainer Richard Litt is confident Castelvecchio can hold his own in the G1 Sires’ Produce Stakes. An unassuming young trainer and his classically bred horse have already shared a memorable journey, one that has led them to an unlikely Group One milestone on one of Sydney’s biggest race days of the year. As Godolphin prepares to continue its quest for a clean sweep of the major two-year-old races with three runners in Saturday’s Sires’ Produce Stakes – Kiamichi, Microphone and Tenley – Richard Litt could be the man to provide an unexpected roadblock. Litt will saddle up Castelvecchio, a horse with a pedigree better suited to Saturday’s Australian Derby than the middle leg of the juvenile triple crown. A son of 2013 Australian Derby winner Dundeel out of Dehere mare St Therese, Castelvecchio has already given Litt a list of firsts – his first stakes runner and winner, his first Group runner and on Saturday, his maiden starter in a Group One race. A half-brother to Spring Champion Stakes winner Maid Of Heaven, Castelvecchio’s precocious ability has been a pleasant surprise. “Maid Of Heaven won a Group One for (dam) St Therese but that was late in her three-year-old career and for him to be doing what he’s doing now is incredible,” Litt said. Castelvecchio won the inaugural Inglis Millennium at his second start, unleashing a devastating turn of foot from back in the field. Sent out against some of Sydney’s best two-year-olds in the Skyline Stakes, he was left flat-footed when the small field sprinted but surged late for third behind Microphone and Cosmic Force and both horses have subsequently franked the form. Litt decided not to press on to the Golden Slipper (1200m), instead focusing on the longer Sires’ Produce Stakes (1400m). So while five of Saturday’s rivals will need to bounce back from Slipper runs on a testing track, Castelvecchio goes to Randwick on fresh legs. 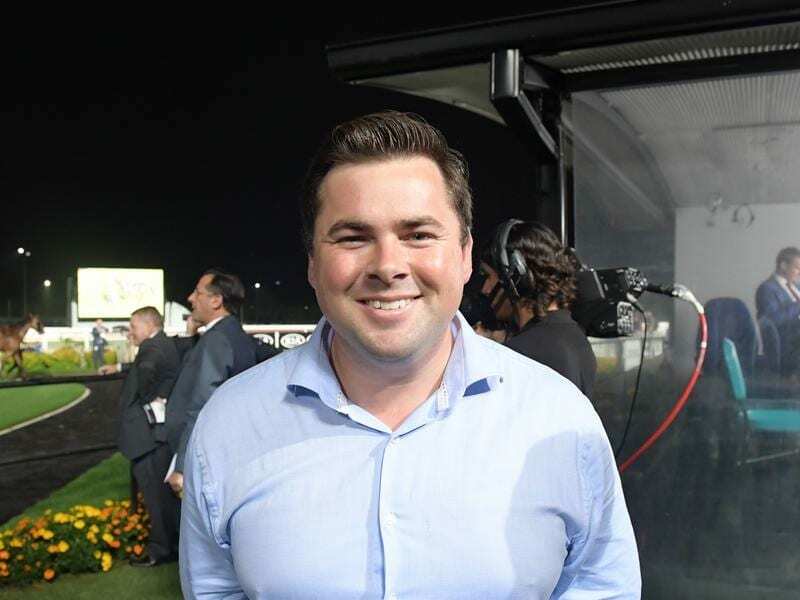 “Those horses backing up from the Slipper, obviously they’ve done well enough to run, but you never know if will take a toll on them,” Litt said. Castelvecchio had a barrier trial last week to top off his fitness after a month between runs. Litt is satisfied it has done the job and says the horse’s preparation has gone without a hitch, a rare commodity in racing. “I’m sure everyone has got their doubts when it comes to being so long between runs but I don’t,” Litt said. Litt will be that and more if Castelvecchio can pull off a Group One coup at Randwick.